On 6th January 2015 I attended a Witness Seminar at the Institute for Contemporary British History on the history of the Child Poverty Action Group (CPAG) in the 70s and 80s, as part of their forthcoming 50th Birthday celebrations. Not only was I interested to hear about how such a high-profile organisation had handled the huge political and policy changes of those particular two decades, I was also interested to see this group form of oral history in action for the first time. The content of the day spoke candidly to the main issues in welfare and poverty discourse in the 1970s and 1980s, as well as being very revealing within the context of debates within voluntary action history. One of the things I found pertinent to both was the frequent referral to the work that the CPAG did on disseminating information about welfare rights. Similarly to the CAB, and sometimes alongside them, the CPAG set about helping people people understand what their entitlements were, how to claim them, and who to contact for help in doing so. 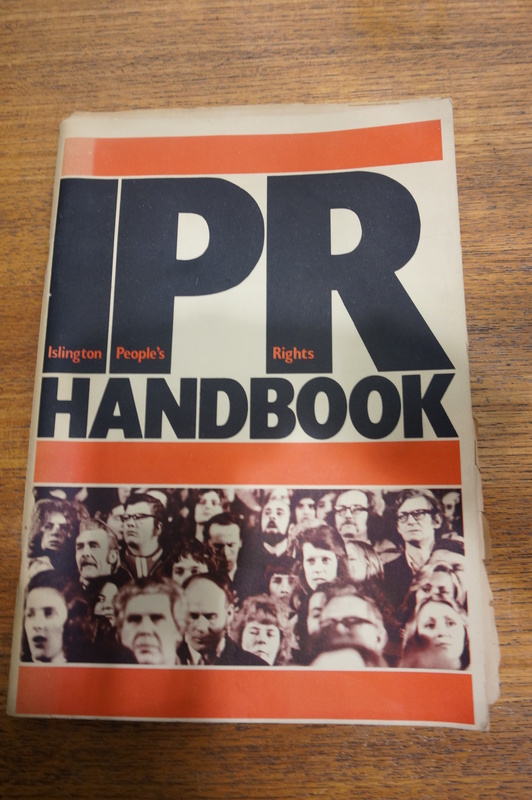 They produced local and national Welfare Rights Handbooks, and you can see the 1970s copy of the Islington one in the picture below. This connected well with my own understanding of how professionalisation and state involvement in welfare in contemporary Britain has required intermediaries to communicate and advise on complex state welfare bureaucracy. I look forward to reading the 50th Anniversary official history of CPAG that the AHRC have recently agreed to fund Pat Thane and George Gosling to write. It promises to be an interesting perspective on welfare and poverty in post-war Britain, as well as a fascinating institutional history. However, I also found that thinking about the witness seminar as collective oral history was a particularly fruitful way to reflect on the interviews I have conducted for my research on youth clubs to date. When confronted with a group of people telling fragments of stories from their own perspectives at the same time, it is much easier to think of the subjective nature of the stories our interviewees tell us. While having people there to fill in names, dates and places was useful for the attendees sense of chronology and agency, it also meant a story in unique fragments covering some common ground. The Witness Seminar also enhanced my appreciation that oral history has an element of performance that cannot be ignored. 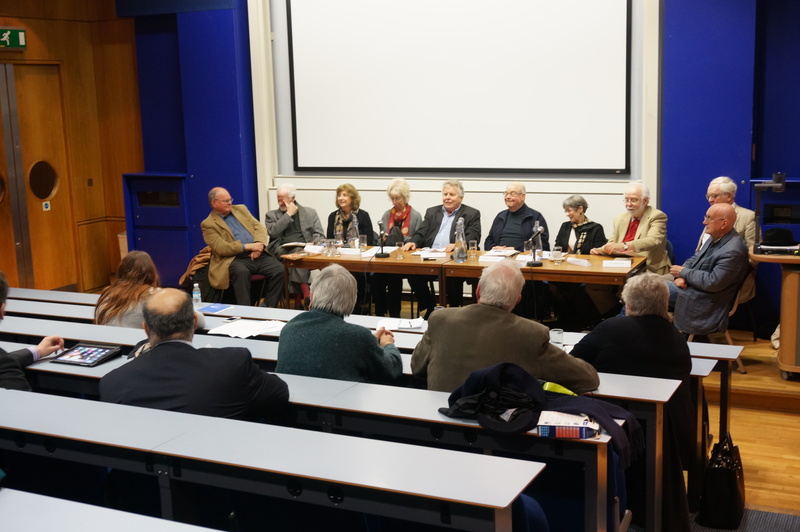 With the ‘witnesses’ sat around a table at the front of the lecture theatre, and the recorder being moved to catch audience questions and comments, it was clearer that oral history is an event. Much as I have found when on the phone to potential interviewees and at the interview themselves, stories are almost never told the same way twice. Having an audience also made a difference. The panel are facing out, speaking to us. Again this enhances the element of a performance but in addition, this set-up ensured that this oral history was not a conversation or formal interview, with someone asking questions and waiting for an answer. There was a sense of a staged conversation between the panellists, with a very present and engaged audience. This is not to take away from the many interesting things the panel had to say, but it was an utterly different dynamic to the kinds of interviews I have been doing. It invited me to reflect on the role of the interviewer in constructing the interview in a way which has helped me understand better my own approach and technique. Rather than answer questions, the panel talked around decades, important themes, debates and events. This structure had advantages and drawbacks. On the one hand, it allowed space for pertinent anecdotes to emerge and for a thematic narrative to emerge alongside the loose chronological one. On the other hand, it also meant some digression, but this too has value. It fitted well with my training in oral history on how to ask about loose topics and let peoples’ stories emerge as they want to tell them. Seeing this very loose structure offers me ideas on how I can try to draw out the stories people want to tell me, as well as the ones I want to hear. In summary, I found the content of the day a fascinating insight into welfare history in contemporary Britain. However, I also gained insight into my role as a practitioner of oral history. I am not yet sure if and how I would do a witness seminar on the histories of youth clubs and youth associations, but if I decide to, the ICBH model, at first glance, seems like a good one to think about.